YOUR FAVORITE PULP MAGAZINE COVERS ON CDROM !! 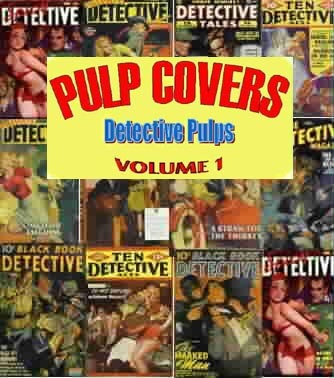 Each CDROM has cover images in jpg format for easy viewing through your browser, featured in two sizes and resolutions- thumbnail sized for overviewing the entire collection, and individual large images in higher resolution for studying the artwork of these fabulous pulp covers. Each CDRom listed has over 500 Pulp & Magazine covers before 1960 unless otherwise noted. Foreign shipping is $4.00 per order. Over 500 Good Girl Art Pulp Covers from the 1920's to the 50's. All genres including Sci Fi Detective, Mystery. Beautiful girls scantially clad or pinups, in teasing or Women Warrior roles. 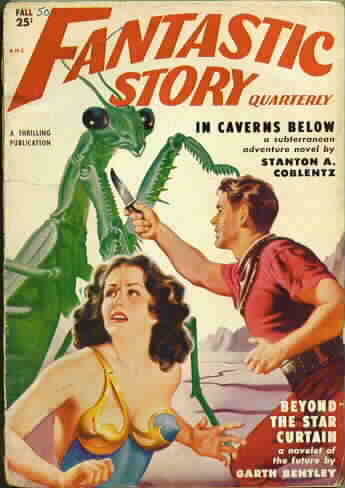 Over 500 Classic Science Fiction Pulp Covers. Alien encounters, spaceships, rayguns, alien landscapes, girls in plastic spacesuits, etc. Great artwork by Frank Paul, Earle Bergey, Rudolph Belarski, & Virgil Finlay. 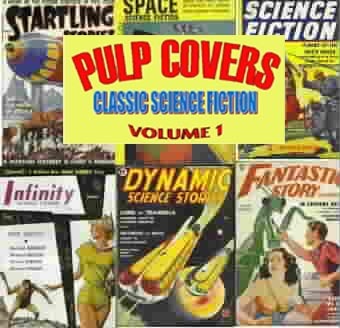 Over 5500 Pulp Magazine covers including all those on the 6 cdroms above, plus many more. Science Fiction, Fantasy, Horror, Detective, Mystery, Hero, and more. This is a three-volume CDrom containing over 1.5 gigabites of scans! Not available anywhere else with this quality of scans. No covers are from magazines after 1965. 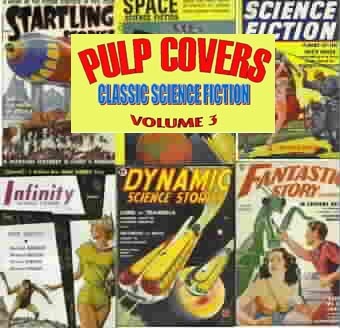 Over 5500 Pulp Magazine covers including all those on the 6 cdroms above, plus many more. Science Fiction, Fantasy, Horror, Detective, Mystery, Hero, and more. This is on a DVD containing over 1.5 gigabites of scans! Not available anywhere else with this quality of scans. No covers are from magazines after 1965. This site is copyright 1996-2009 All rights reserved. No part may be reproduced in any form electronic or otherwise without the express written consent of Fantastic Collectibles.